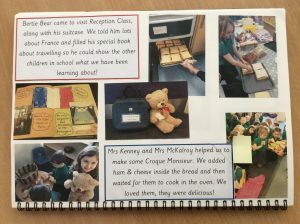 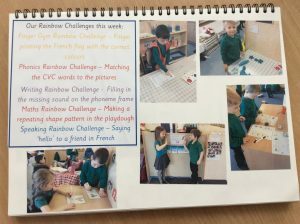 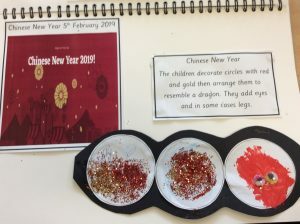 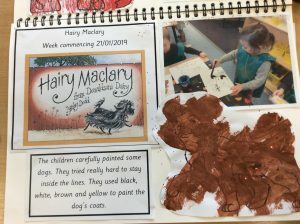 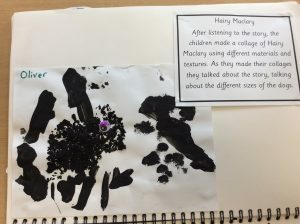 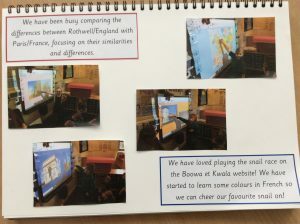 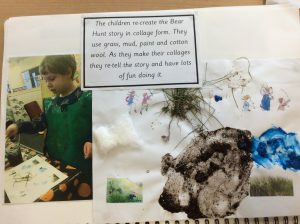 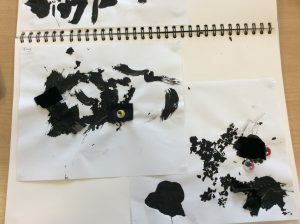 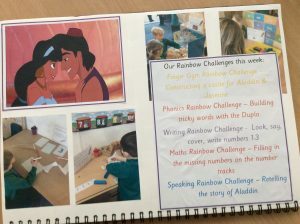 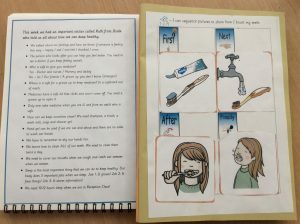 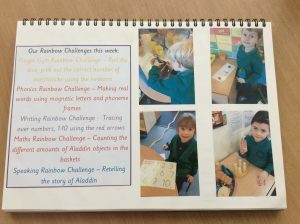 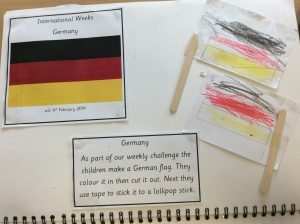 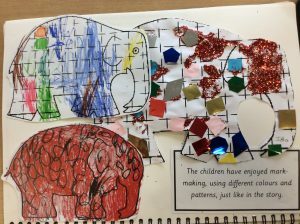 Here you will find useful information and view some of the fantastic work our children produce. 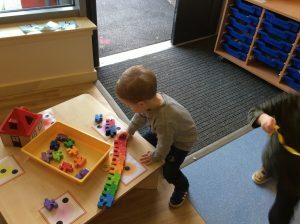 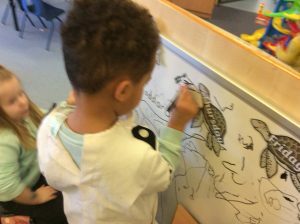 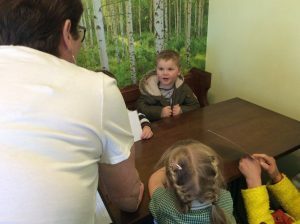 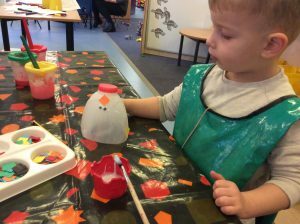 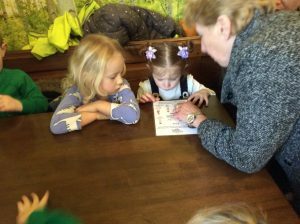 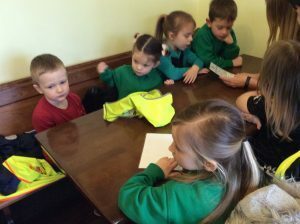 Please scroll down to view Reception class. 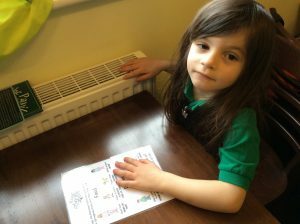 Children stay for lunch Mon/Tues/Thurs/ Fri and have the option of a school dinner or a packed lunch provided from home. 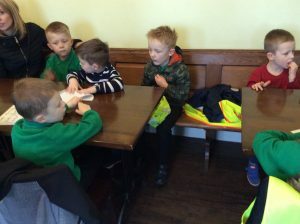 Please note Nursery dinner money only must be paid via the school office and not on Parentpay. 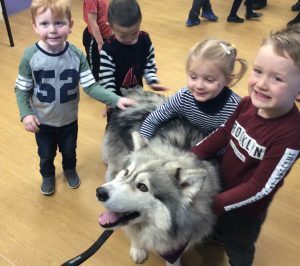 Our Nursery children loved their visit from Thunder, the Therapy Husky. The children had to introduce themselves to Thunder, before giving him a treat and a cuddle! 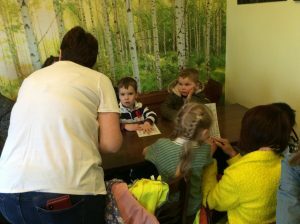 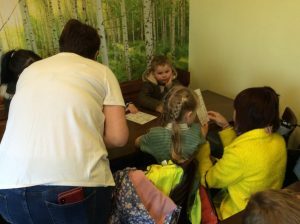 Thunder was extremely calm and placid and put the children and staff at ease. 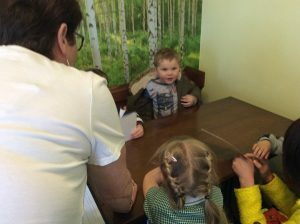 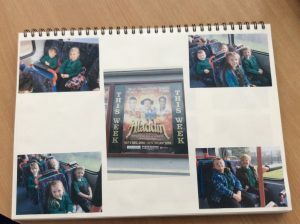 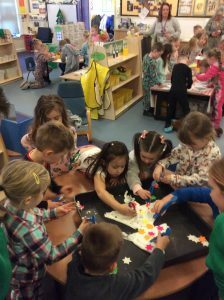 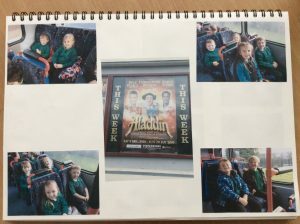 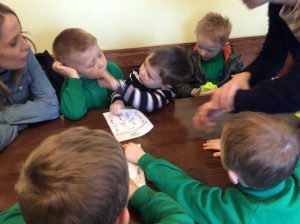 A special ‘Thank You’ to our PTA for donating some money towards this experience, as well as Nursery Parents and Carers who contributed too. 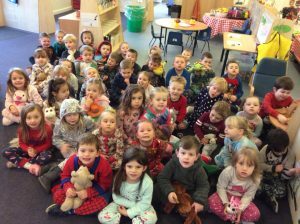 Nursery children enjoyed the stories; Elmer and Hairy Maclary. 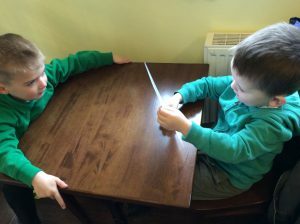 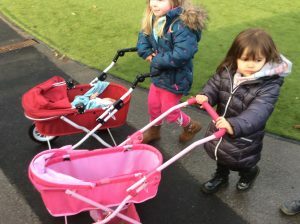 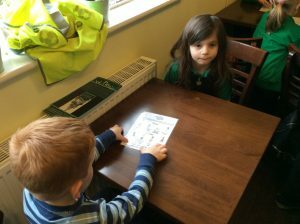 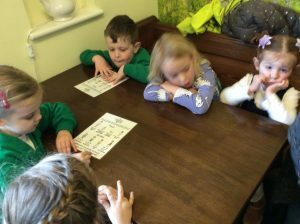 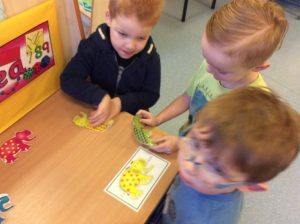 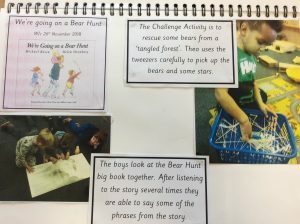 Here they are enjoying lots of different activities based around these two stories. 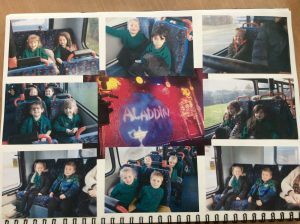 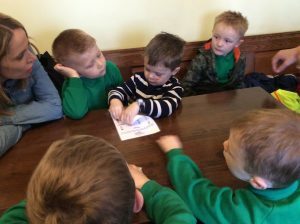 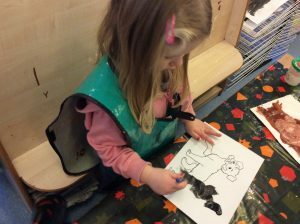 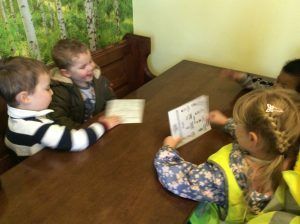 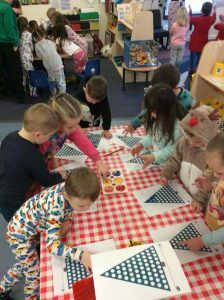 Last half term, the key themes for Reception Class were Aladdin, The Gruffalo and France (International Study). 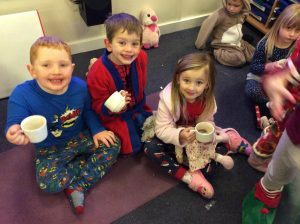 Reception Class have really enjoyed our topics this half term: The Three Billy Goats Gruff, Owl Babies and Christmas! 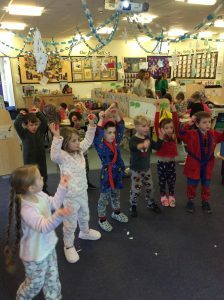 Here are a few photos of our Owl Babies visitor and Polar Express Treat Day.